The net has a fixed width of 2m. Please choose the needed length of your net in meters. These nets made of transparent light grey Nylon (PA) monofilament practically do not reduce the visibility. From just a few metres distance the nets are almost invisible. Therefore such nets are also used to protect the facades of historical buildings from pigeons and other birds. Our cat protection nets are meant for self mounting. For fastening we suggest our braided lines made of polypropylene with a diameter of 5mm. You can pass this line through the second mesh row of each edge and fasten it tight to hooks in the walls. 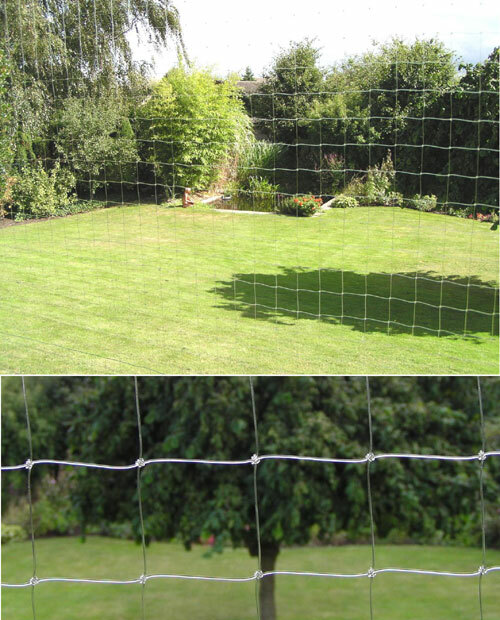 Another way of attachment would be to fix the net to a frame or a stretched line by using our universal twine. Warning: Cat protection nets are not meant to protect children from falling from balconies or out of windows.